Sophomore forward Marcus Santos-Silva led the Rams with a career-high 16 points on 8-of-9 shooting as VCU topped Hampton 69-57. VCU forced 17 Pirates’ turnovers and held Hampton to 29 percent shooting (18-of-62) from the field. Hampton scored first but VCU turned up the heat from there and lead the rest of the way. With the score knotted up at 4-4, the Rams exploded for a 14-4 run that pushed their lead to 22-8 with 11 minutes remaining in the first half. 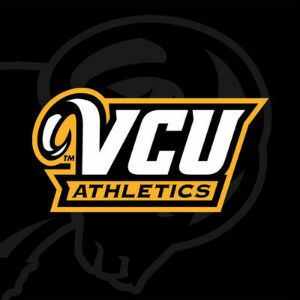 After the Pirates cut VCU’s lead to 23-11, the Rams went on a 13-3 run to give them their largest lead of the half at 35-15 with less than two minutes remaining in the first half. With VCU leading 42-26 early in the second half, redshirt sophomore Corey Douglas made a layup to ignite a 7-0 VCU run that gave it a 49-26 with just under 15 minutes left in the second period. After a Hampton run cut the VCU lead to seven, Evans hit a clutch three followed by a Santos-Silva dunk to push the Rams’ lead back to double digits at 62-50. Hampton was led by guard Jermaine Marrow, who provided 25 points and five assists in 35 minutes. Seven Rams scored at least five points Friday. VCU returns to action on Monday, Nov. 12 at the Siegel Center when the Rams host Bowling Green at 7 p.m. MASN will televise that contest.